Throwing your scrap metal away is a huge mistake. Rather you need to recycle. The process is simple and highly rewarding. You will have the peace of mind and knowledge of knowing that it is going to be better on the environment, of course, along with the cash that you received to recycle. This gives you more reasons than ever to get into recycling and avoid the landfill. This is not going to be difficult for you to do in Melbourne and it may be one choice that you never regret. Throwing away things once we are done using this has become commonplace, but it should not be how things are done. Before you trash anything with metal, consider the fact that it would simply pile up in a landfill. This is going to be bad for the environment, and so is the creation of new materials. By recycling your scrap metal instead, you will be able to keep those items out of the landfill and have them reused. This saves space and energy since it is a lot easier to use recycled materials than to create new products entirely. Recycling helps to keep the earth cleaner and greener, and it is rather simple to do. Recycling does not require a lot of energy or time. In fact, anyone can do this if they want to. Hazara Car Removal Melbourne makes the process easy for you to ensure that all scrap metal has a safe place to go. Take advantage of this and begin helping to keep the world a greener place immediately. You can recycle your scrap metal quickly, too. This is not a long and arduous experience so there is not a lot holding you back from doing this. If you want to help the world, you can do so happily. Unlike many other forms of recycling, this is not going to have you leaving empty handed. You can get paid to recycle scrap metal, making this even more appealing. Even if you are not too invested in keeping the earth green, you will still love the fact that you are going to be getting some extra cash for yourself. This makes everything worth the effort and time, especially since you can get paid quite well for what you are recycling. Make sure to talk over value and price before doing anything, though, to make sure that you are comfortable with how much you are receiving. Recycling scrap metal in Melbourne is something that everyone can do. There are specialists out there who can make this easy for you and give you the money that you are after. You will be able to recycle your scrap metal quickly and easy, and all without losing any of the money that you are promised. This is a great opportunity for anyone thinking of being greener while making some money in the process. It is the best alternative to simply keeping the scrap metal around to rust and rot. You cannot always have the same vehicle forever. While some people have managed to keep their own cars or trucks in near perfect condition over the years, not everyone has that opportunity. If your vehicle is getting up there in age or is damaged to the point of it being useless, you are going to need to find a way to make something out of it. Hazara recycling and dismantling services can help you here. You will be able to get rid of that old vehicle and have some money to show for it. This is a great way to make quick cash and to be rid of some old, problematic vehicle that you no longer want. Services are available in the Melbourne area so there is no worry about accessibility. When your vehicle is nearly unusable or is no longer worth that much for driving, you are going to want to look into scrapping it. You may be able to get more money this way than you would be able to if you tried to sell it to another driver. This is because it is the scrap that matters here more than anything else. Other drivers are going to want a more thorough look at the vehicle and are going to care a lot more about every little detail. While condition still matters with scrapping, it is possible to get a decent sum of money for junk vehicles. Hazara Car Removal provides their unique servicer all around Melbourne. This makes it a lot easier to get this vehicle off your property and cash in your hand. If you are trying to do this quickly, then you can look online for the services that are available and contact someone right away. This might be a lot simpler than you think, like having the tow truck come to you. With the simplicity and convenience of these services, you will be able to make some money off this in a short amount of time. As far as the money that you make, the amount can be quite high for what you may expect. Even junk cars are worth something to scrap yards, after all. These services want the pieces in order to make their money, which makes it a lot easier to make your money. The vehicle is going to be dismantled so there are fewer worries about how the condition of the vehicle is going to affect the value. This does not mean that condition does not matter, of course. This only means that it is not going to make your vehicle unsellable. You should reach out to the services available quickly and begin speaking with someone. The moment that you open that line of communication, you will be able to see values and figure out how to make money off your junk car. This can be well worth your time, making it possible for you to have the old junk car gone and some extra cash for it. Call Hazara on 0409 145 434 for scraping cars! It's been understood that to a certain extent, there will soon be a number of truck repairs which can be inevitable. Your very truck works harder than you do, for nearly twentyfour hours in dense traffic under unfriendly weather conditions. And for these facts being experienced and unvoiced, these give you the need to get a reputable company to really get your truck repaired. Amidst all the things said and executed, truck repair in a sense is an expense in your company. The specific periods that your truck was off the road are losses in your earnings because at a typical sense, a truck will just provide you earnings when it is running and carrying its freight. Every major city has large trucking companies that have to receive their fleet maintenance somewhere. In the event you call one of the firms and ask them where they receive their trucking fleet serviced they will likely tell you. If it is a reputable large firm odds are that the shop they use will be good enough for the truck repairs also. As soon as you find a shop you like request to set up a credit account and make sure you pay your account on time on a regular basis. Truck repairs can be costly and once you find yourself with a bad month for business combined with the engine mount desiring replacement or some other challenging job you want to ensure your truck repair shop credit is in excellent standing. Because when you undertake about the expense that you need to take in getting the truck fixed, it definitely involves money. For this specific reason, you should never permit an untrained individual to fix your truck. Choosing a professional mechanic continues to be the best and wisest strategy. This expert mechanic will undoubtedly gauge the repair and rectify it. Mobile response trucks are amazing and say a lot of a truck repair shop if they have one or more of these units. It is especially beneficial when you have credit using a truck shop that has a cellular service. You can get a boost for your truck, battery replacements on the spot, unlock frozen brakes, tire repairs in parking lots, and a multitude of other mobile services. Every great truck repair shop has it is own towing service, and when they fix heavy trucks they need to have a heavy tow truck for this also. Normally, if your shop lets parking on site for frequent customers they are going to use their tow truck to pull your downed truck into their shop if need be. Just another advantage of getting a shop you can trust for regular service of commercial trucks. After a minor or major mishap on the road, you approach several auto repair shops and you will end up having different estimates for the job. It can be confusing for a vehicle owner when one Auto Repair Ogden quotes you for $400 while another Auto Body Repair Logan estimates the same job for $1,200. While any auto shop can advertise over the internet or other forms of media, there is no better recommendation than that coming from your trusted circle of family and friends. You might not end up with the most well-known auto shop in Logan but you will end up with a shop that people trust. You might end up in a small auto repair in Ogden that you cannot find on the internet but you will end up getting great service and fair price. There will also be times where you will meet the owner of an auto repair shop that will do the job himself and really explain to you the true condition of your vehicle. Auto repair shops are businesses that need to pay people and that need to earn a lot of profit. When choosing an auto repair Ogden or auto body repair Logan, for example, make sure you survey its location and possible overhead expenses. If you go to a shop that has a bit front-end staff, then the rates at that shop will most likely be higher than the shop your uncle recommends. While everything will look professional as the front desk receives your complaints and a manager assists you, these extras will also mean extra money out of your pocket. Some will charge per hour while some may charge for every sweat on their forehead. It will not hurt if you compare rates from different shops. That is your right. Having several quotes will allow you to have an idea of the average rate and know which auto repair shops pad their service rates a bit too much. Of course, the lowest quote does not always mean the best service. Do your homework and ask around. When you go to an auto repair Ogden, make sure you ask questions to find out what they will do to your car. You can also ask if they provide written warranties and what the warranty covers in case your vehicle stalls the moment you ride it out of their shop. You need to make sure that your vehicle is covered in case it is burglarized or at worst destroyed while in their care. Most importantly, ask about their plan for your vehicle. Make sure the materials they will use are acceptable to you. In case it will be painted, ask about the brand of the pain, how they will prepare the car, and how many coats it will get. Remember to follow your intuition, if something tells you that there is something wrong with that auto repair shop, by all means get out and look for another one. Author Bio. : Aatopia Auto Care is the go to shop for people looking for Auto Repair Ogden and Auto Body Repair Logan that provides excellent services at affordable prices. With the multitude of used car recycling companies out there, choosing the right one can be a difficult decision. How do you know you’re getting the best price for you recycled auto, as well as ensure that your car is disposed of responsibly and correctly? Below are some tips to make certain you get the most out of your old vehicle. Check to make sure that the company you have selected has been certified with the ARA (Automotive Recyclers Association). The ARA is an Australian association regulating the trade in used automobiles. Companies that have been certified by the ARA have shown that they responsibly inform consumers about the cost and benefits of recycling an automobile, as well as responsibly and professionally dispose of used fluids and ensure that all feasible steps are taken to ensure a prolonged life for usable automobile parts. Be upfront about your vehicles condition. While you may think that that crushed in front end makes your vehicle nothing more than scrap, the professionals at Haraza Car Removal have been doing business in the Melbourne area for more than a decade, and can tell cosmetic damage from a structurally unsound vehicle that must be scrapped. 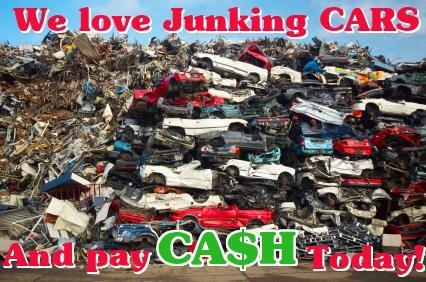 Being informed about the value of you junk car is an integral part of selling your auto. You’d be surprised at the value rusting away in your driveway. Don’t be afraid to ask questions and become informed about the procedures used to dispose of your vehicle. A reputable business such as Haraza Car Removal cares about Melbourne, and has made a commitment to being an environmentally sound business operating locally. We welcome any questions you may have about the recycling and disposal of tyres, stereos, drivetrain parts and glass. We pride ourselves on being a staple in the Melbourne area, and doing our part to keep Melbourne healthy and beautiful. In the end, recycling your car is a mutually beneficial arrangement to both you and us. We here at Haraza Car Removal are well respected in the Melbourne community for their honesty, professionalism, and expertise. We will work around your schedule to facilitate an easy, safe, and reliable transaction for both parties. Offering a decent price for your vehicle, as well as scheduling timely pickup and answering any questions you may have is our way of showing you, the customer that we appreciate your business. Choosing the right company to help you dispose of you used automobile is difficult, but the professionals at Haraza Car Removal can help. Contact us to get a free quote, estimate, or schedule a pickup. We will do our utmost to ensure that your experience with our company is positive and smooth.